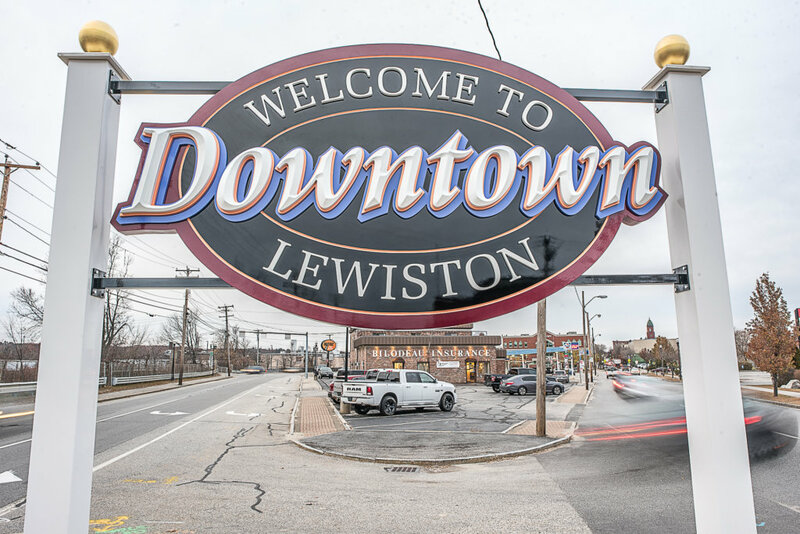 LEWISTON — A sign that states “Welcome to Downtown Lewiston” was installed Thursday at the southern entrance to lower Lisbon Street, and is a collaboration between the city and the relatively new Downtown Lewiston Association. Lewiston business owners Tamera Grieshaber, Sandy Marquis and Michael Dostie formed the downtown business organization to focus on economic development, promotion and beautification in Lewiston’s downtown commercial area. The group has since grown to include other business owners. “We understood that there have been other groups like this in the past that, for one reason or another, failed to sustain,” said Dostie, chairman of the group and owner of J. Dostie Jewelers. The sign was paid for with funds that had already been earmarked by the city for “wayfinding” signs, and city staff worked with the downtown association on the design. Dostie said the sign came together in about two weeks, and the downtown association is planning more. “The partnership on this sign project (with the city) is exactly the kind of thing we set out to do,” he said.